Preventative Maintenance Agreements From American Air Masters, Inc.
Offering Safety, Reliability and Peace of Mind! You may be asking yourself, "Why are regularly scheduled preventative maintenance inspections so important?" The answer is actually quite simple! Just like your vehicle, your air conditioning and heating system requires service and regular checkups to ensure maximum efficiency and help to avoid unnecessary breakdowns. 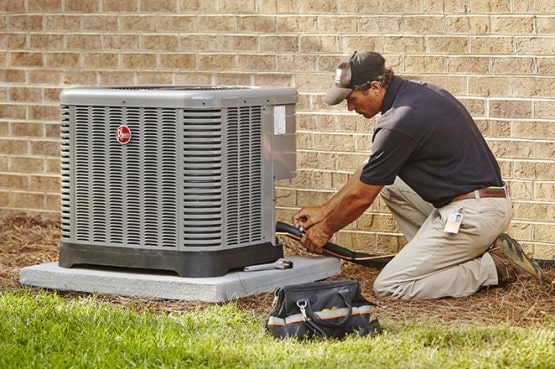 A preventative maintenance agreement from American Air Masters, Inc. provides routinely scheduled preventative maintenance check-ups of your air conditioning and heating system. This helps protect your family from the unexpected and sometimes costly expenses from breakdowns. Below you will find a summary of our 15 Point Air Conditioning Service Check. You will also find a summary of 15 Point Fall Service Check. You can prevent problems and costly emergency service requests by keeping your system well maintained! Preventative maintenance agreements are designed to keep your air conditioning and heating systems running at maximum efficiency. This results in lower energy costs and bills, as well as improved comfort, safety and convenience for your family. 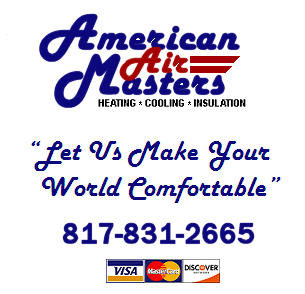 At American Air Masters, Inc. it is our goal to provide your family with uninterrupted comfort and system efficiency all year. For just $130 annually for the first system and $109 for each additional system, you can be rest assured that your HVAC system is running at its peak season after season! We will call you in the spring and fall to schedule an appointment. If you have any questions or would like to learn more about our preventative maintenance program, please contact American Air Masters, Inc. at 817-831-2665. For honest, reliable and fast service, call American Air Masters, Inc. today!